You know, light bladder leakage [or LBL as the gods of abbreviations like to call it] is something as many as 1 in 3 women accross the globe are dealing with on a daily basis, which is hidden away like a dirty little secret that nobody particularly wants to admit, but Poise® is here to save the day with their new remarkably thin Microliners! Honestly, I don't think that LBL has to be a big deal anymore, at all - and there is no need to feel embarrassed! I admit that, after giving birth to several children over a fairly substantial period of time, the curse of having to cross these legs every time I laugh or sneeze, is real!! It happens - and that little "gotta go, NOW!" dance is far more common that you may think! I am not an older lady and I do not have any particular problems with my bladder, I am just a regular 35 year old who has had a few children - waiting for my insides to get the memo to catch up! If they never do, I know that Poise® Microliners have my back! Now, I won't lie to you and tell you ithat LBL happens to me ALL the time, because it does not, but those infrequent occassions when it DOES happen, I really wished that I had used something as simple as NEW Poise Microliners, which feature Super Absorbant Material (or SAM), to keep things the way they aught to be "down there" without the world having to know whenever LBL might strike! Should this be embarrassing!? Absolutely NOT! In fact, it is empowering knowing that such a thin liner can offer so much protection and gaurds better than a regular feminine care product that may have more bulk and isn't actually tailored to LBL. 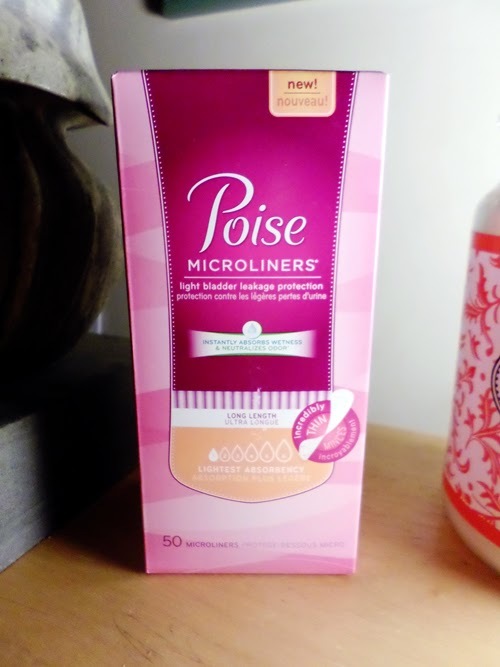 Poise® Light Bladder Leakage solution keeps me feeling confident while running errands, working out, entertaining the kids or any other adventure the day might hold! It doesn't have to be something you need be ashamed of! You don't need to hide those pads at the bottom of your basket at the store - in fact, wave them proud, fist pump and high-five your fellow Poise purchaser and own your LBL with a smile! Nobody is going to take away your dignity [or pride] - YOU have THIS - and Poise® NEW Microliners [alongside their entire range of products] have YOU! To find out more, to grab some Light Bladder Leakage tips, and to boost your confidence with Light Bladder Leakage, check out the Poise® website, and get your free sample, today! Live life in comfort, and be a more confident YOU, with NEW Poise®. Disclaimer: This is a Sponsored, promotional post for Poise Microliners. All thoughts and opinions are my own. Your views may differ. Thank you. I use the liners for myself and the Men's poise pads for my son's bedwetting.